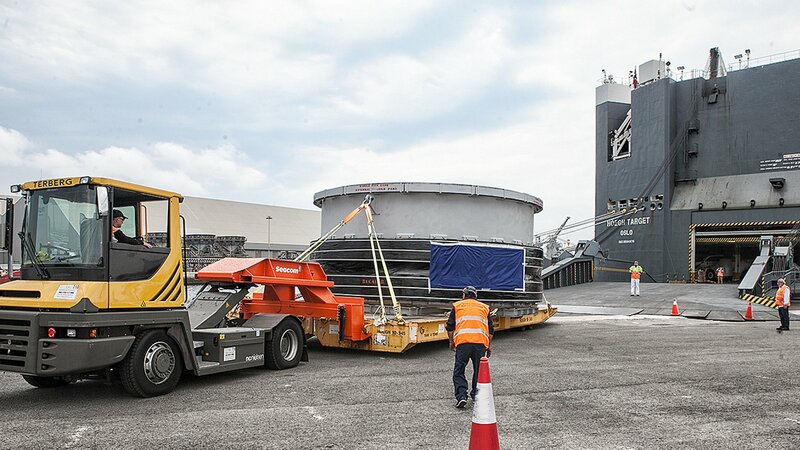 Our Port Captains supervise the lashing of the cargo and will ensure that the manufacturer’s speciﬁc instructions as well as safety aspects are taken into consideration when securing the cargo. 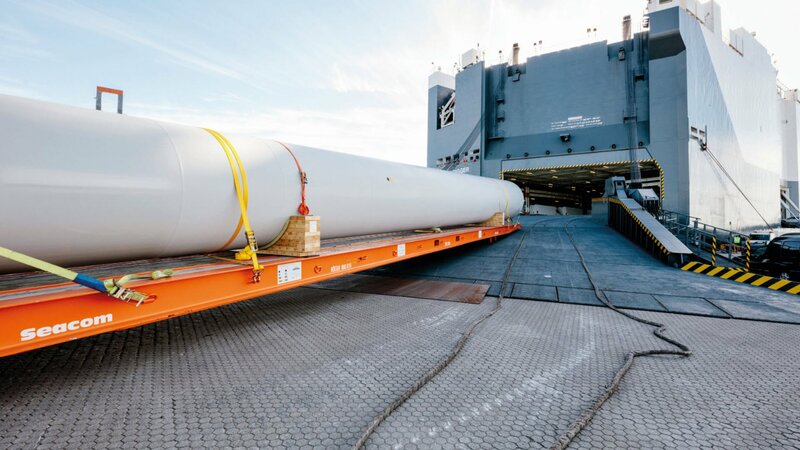 By transporting cargo on our modern rolltrailers and securing it at the designated lashing points, we ensure that it is safely transported to its destination. For exceptionally wide cargo we have developed our unique Double-wide rolltrailer concept which involves two 40 feet rolltrailers positioned side-by-side, joined together by a coupling system. We have also developed our own twin gooseneck, ensuring the tugmaster has a ﬁrm hold of the rolltrailer at all times during the transport.